Interview with Francis Manapul at HeroesCon 2015! We caught up with Francis Manapul at HeroesCon 2015 for an interview on behalf of both TMStash and Speedforce.org. Manapul gave us the story behind the “5 O’Clock Shadow” look of Batman, the rise of Harvey Bullock as an A-List character in Detective, his favorite moments from THE FLASH and DETECTIVE, and more! Thanks to Francis Manapul for taking time from a very busy HeroesCon schedule to speak with us! This entry was posted in Interviews and tagged Batman, Detective, Detective Comics, Francis Manapul, Harvey Bullock, Interview, The Flash on June 21, 2015 by Ed Garrett. Interview with Robert Venditti at HeroesCon 2015! 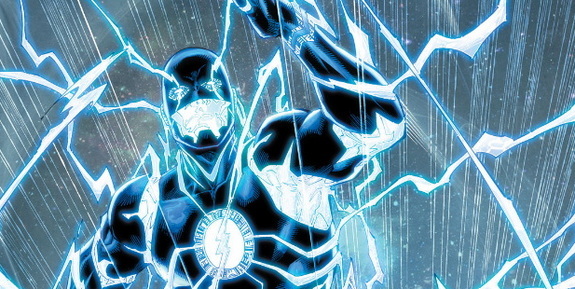 We caught up with Robert Venditti at HeroesCon 2015 for both TMStash and Speedforce.org, to talk about his current volume of THE FLASH, his ongoing work with GREEN LANTERN, his plans for X-O MANOWAR, and more! Thanks to Robert Venditti for taking the time out from a very busy HeroesCon to speak with us! CLICK HERE for the audio of that interview. This entry was posted in Interviews and tagged Green Lantern, HeroesCon, Interview, Robert Venditti, The Flash, X-O Manowar on June 21, 2015 by Ed Garrett. 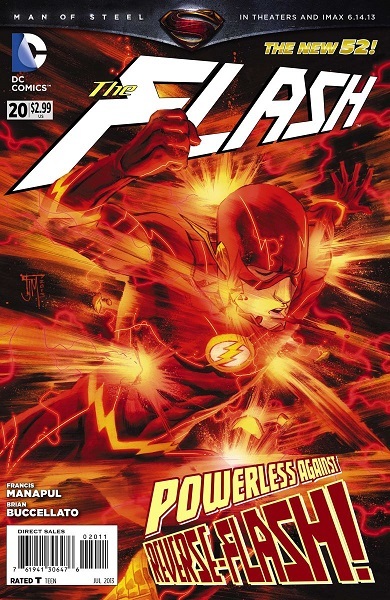 Following back-to-back weeks with new Flash issues hitting the stands, the new writing team of Van Jensen and Robert Venditti sat down with Newsarama last week to talk about some of the major introductions made and threads introduced. Be warned, the two go into some spoiler-level detail if you have not read the last couple issues. For more on Wally West, his parents, Future Flash and more, follow the jump! This entry was posted in Flash News and tagged Daniel West, Flash Annual, Future Flash, Interview, Iris West, New 52, newsarama, Robert Venditti, Van Jensen, Wally West on May 5, 2014 by Greg Elias. SpeedForce & TMStash Interview Manapul & Buccellato On Their Move From Flash to Detective! We recently had the honor of interviewing Francis Manapul and Brian Buccellato, the acclaimed creative team behind “The Flash”, as they prepare to move from “Flash” to “Detective Comics”. We get their thoughts on the move, along with the themes they will be taking with their run on the World’s Greatest Detective. As for why this is on TWO sites? I regularly contribute reviews of “Flash” related titles to SpeedForce, the premiere Flash fan site on the internet. And, I regularly review other DC and Indie titles at TMStash, the place for Comics, Movies, TV, Gaming, Tech News and more. This transition from “Flash” to “Detective Comics” cuts across both sites…and that means it only makes sense to publish the full review on both sites! Now, let’s get to the Q&A! This entry was posted in Interviews and tagged Batman, Brian Buccellato, Detective Comics, Flash, Francis Manapul, Interview, SpeedForce, TMStash on November 14, 2013 by Ed Garrett. During NC Comicon, we had the honor of sitting down with Christos Gage, who is writing an upcoming issue of The Flash and regularly writes Danica Williams’ character as the newest Flash in Justice League Beyond. This is a shared interview…I also write about Valiant and other comics for another site called TMStash, and the interviews are linked to each other. The only place you’ll find the Flash-related questions is here, though…including a hint to future stories! If you want info about Bloodshot and H.A.R.D. Corps (and excellent Valiant book), just follow this link. There will be a few questions at the end that show on both sites. For now, let’s go the Q&A! This entry was posted in Interviews and tagged Christos Gage, Flash, Interview, Justice League Beyond on November 11, 2013 by Ed Garrett. Friday saw a new interview surface over at MTV Geek featuring the Flash creative duo of Francis Manapul and Brian Buccellato. Within, the two discuss the currently-unfolding arc featuring the debut of the New 52 iteration of the Reverse-Flash, the Flash debut of Kid Flash and other recent developments. For highlights, follow the jump! This entry was posted in Flash News and tagged Brian Buccellato, Francis Manapul, Interview, Kid Flash, New 52, Reverse Flash on June 3, 2013 by Greg Elias.